We are pleased to present the latest edition of Printed & Bound, a newsletter produced by our past president, Paula Jarvis. Please click here for the October 2018 issue. We are pleased to present the latest edition of Printed & Bound, a newsletter produced by our past president, Paula Jarvis. Please click here for the October 2017 issue. We are pleased to present the latest edition of Printed & Bound, a newsletter produced by our past president, Paula Jarvis. Please click here for the February 2017 issue. We are pleased to present the latest edition of Printed & Bound, a newsletter produced by our past president, Paula Jarvis. Please click here for the October 2016 issue. We are pleased to present the latest edition of Printed & Bound, a newsletter produced by our past president, Paula Jarvis. Please click here for the June 2016 issue. H.P. 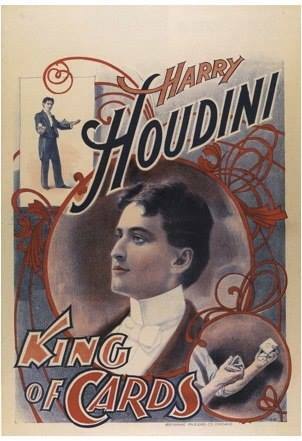 Lovecraft co-wrote The Cancer of Superstition with magician Harry Houdini. The manuscript was discovered recently and will be auctioned on April 9. Read more about this here. Please check out the Book Club of Detroit’s Meetup page, where you can learn more about upcoming events, both official club gatherings and those sponsored by other organizations that might be of interest. 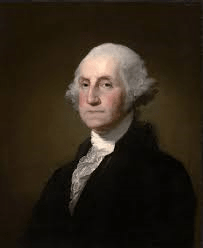 In honor of George Washington’s Birthday, observed in the United States on Monday, February 15, 2016, click here to for information on a rare 1906 biography about our nation’s first president. The Wayne State University Press recently announced a plan to digitize 59 out-of-print titles on Jewish and regional subjects. Please click here for more information. We are pleased to present the latest edition of Printed & Bound, a newsletter produced by our past president, Paula Jarvis. Please click here for the February 2016 issue. Mark your calendars for the Book Club of Detroit’s members-only viewing of a rare book exhibit on loan from The Remnant Trust at Lawrence Technological University. Saturday, January 23, 4:30 p.m. The First International Colin Wilson Conference will be held on July 1, 2016, at the University of Nottingham. Colin Wilson was a prolific English writer of books including The Outsider (1956) and The Occult: A History (1971). For information on the Colin Wilson Collection, please click here. We are pleased to present the latest edition of Printed & Bound, a newsletter produced by our past president, Paula Jarvis. Please click here for the October 2015 issue. With sadness, we announce the death of our immediate past-president, Robert K. Jones, who led our club from 2011 to 2013. His presence and devotion to the Book Club of Detroit will be missed. Please click here for funeral information. May he rest in peace. Paul Nielsen, the owner of the Wundergound Magic Shop in Clawson will speak on the history of magic, plus have books on magic from his personal collection. His talk starts at 2:00 pm on Saturday August 29, 2015 at the Ferndale Area District Library co-sponsored by the Book Club of Detroit. Following Paul’s talk, top magician Gordon Russ will perform magic for 45 minutes. This event is free and open to the public. Please contact Maurice Barie, Treasurer, Book Club of Detroit or Ashley Lehman, Head of Youth Services, Ferndale Area District Library with questions or to indicate that you plan on attending.